Several government and non-government organizations compile motorcycle accident statistics on a regular basis. It is thought that by understanding how accidents occur, injury and loss of life can be reduced. 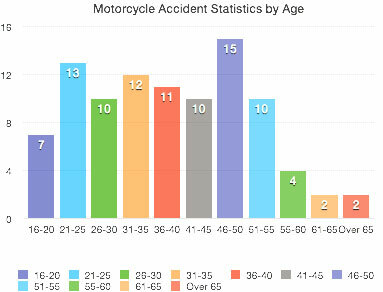 As motorcyclists, it is good to be aware of some of these statistics so we can adjust our habits and behavior, ultimately leading to our individual safety and enjoyment. *Head injury occurred 15% of the time when riders wore a helmet compared to 52% of the time when they did not.